THIS LECTURE IS FREE BUT REGISTRATION IS MANDATORY. Join us for a lecture by Posing Modernity exhibition curator Denise Murrell that explores how the changing modes of representation of the black figure is central to the development of modern art. 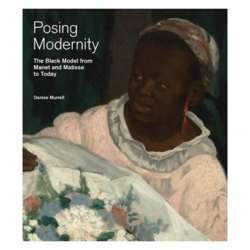 Denise Murrell, Ph.D., Ford Foundation Postdoctoral Research Scholar, Wallach Art Gallery at Columbia University is the curator of Posing Modernity: The Black Model from Manet and Matisse to Today. Murrell’s Protected content for Columbia University’s department of art history and archaeology serves as the basis for both the exhibition and the exhibition's catalog, co-published by Yale University Press. Following the lecture we might want to revisit the exhibition again under a new light...or not! If there's interest a late brunch will follow.